It is time for Sunday Stash #198! 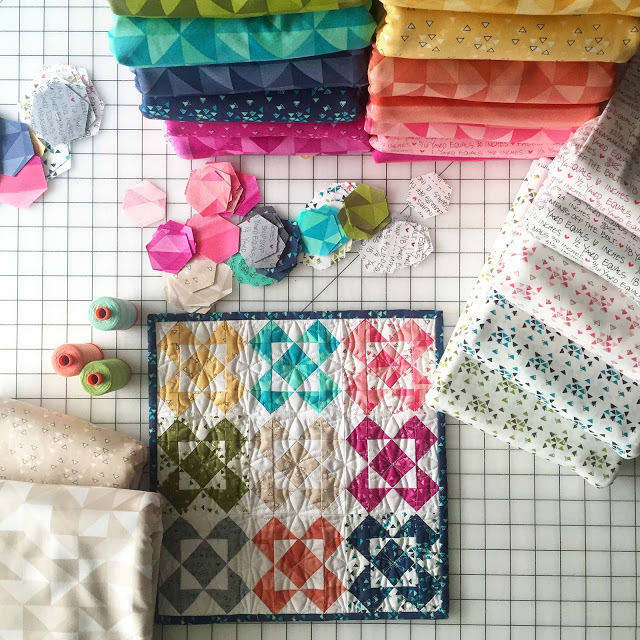 This week is a colorful collection by Vanessa Christenson from V& Co. for Moda Fabrics! Vanessa always has the best colors and she does not disappoint with her upcoming line Spectrum! 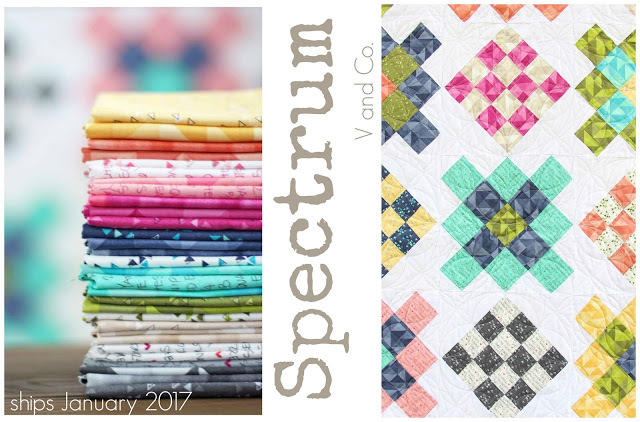 This fantastic line will be available in your local quilt shops and your favorite online shops in January 2017! You can find out more about this fabric collection by visiting Moda Fabrics. Vanessas has created some incredible new patterns to coincide with these new fabrics! Parasol Mini is a PERFECT for making for your friends in a swap or for yourself to add to your mini wall in your sewing room! Parasol mini pattern is available here. Nana's Afghan is a lovely patchwork that would be super easy to sew up for someone you love! Nana's Afghan pattern is available here. Labels:sewing,quilting,fabric,family Aurifil thread, fabric, fabric love, gogokim, Moda fabrics, Sunday Stash, VandCo. 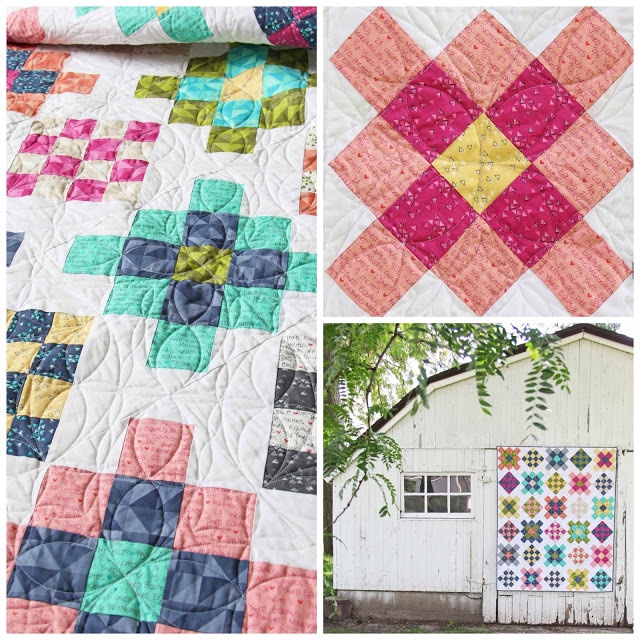 The bundle is beautiful, I love how the HTS fabrics play in the quilts. I love the pattern and the fabrics. I can't wait until this collection is available! OMG!! I need this fabric!! TODAY!